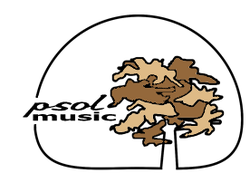 Welcome to Psol Music and Publishing. Official home to the music of Ted Sandquist and much more! Click here to sign up for GWI & Grow Nicaragua newsletter that includes a link to a free Psol Music Song with every mailing! Click the link to download the song for free! Vocals - Jon-Mark Sandquist, Ted Sandquist, Jason Sandquist, Steve Adriance, Kenzie Adriance, Peter Hogue and Karrie Hogue.